If your slate looks dull and unattractive, aggressive cleaning may only make matters worse, but professional slate services can make a big difference. Slate needs to be properly cleaned and sealed after installation and periodically cleaned and sealed thereafter. 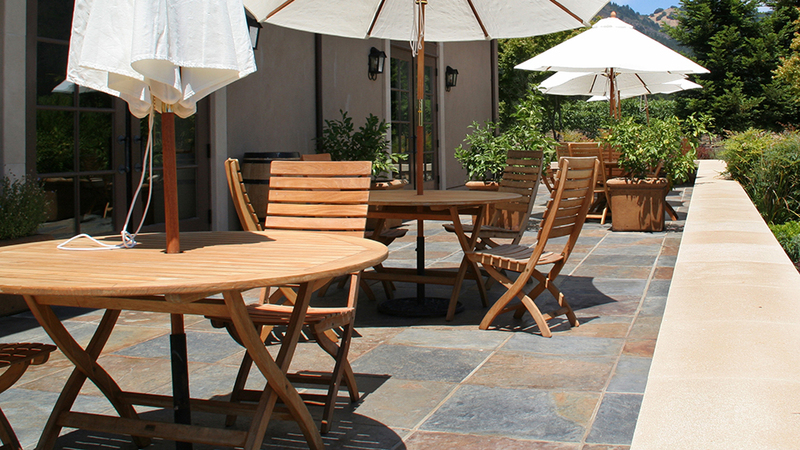 TECHSTONE provides professional slate cleaning and sealing services that can keep the color in slate floors deep and rich and the overall appearance clean and elegant. We can service any of your slate needs, including slate repairs, and achieve the look you want for your slate. Slate comes in several different textures. There is a smooth slate and a cleft finish, that is, a rough finish. Consequently, slate restoration methods differ from that of other natural stone types, and only experienced, qualified slate restoration technicians should work with your valuable slate investment. We completely strip your slate, removing heavy waxes, floor finishes, and soap residue that trap dirt, grime, and other contaminants. Then we clean and sanitize your slate in preparation for the finish you want. There are several different ways to finish slate, including slate color enhancers, topical coatings such as wax, penetrating sealers, and more. The finished look we can achieve depends on your preference — a gloss finish, matte finish, or a low luster finish. Imagine your dull, unattractive slate floors, slate shower walls, slate tub surrounds, slate fireplace surrounds, and other slate surfaces restored to like new. TECHSTONE provides complete slate services and can resolve virtually any slate problem, including chipping and scratches, to return the aesthetic appeal to your slate. For a free estimate on slate cleaning and sealing, stripping, waxing, enhancing, refinishing, repair, and other slate restoration services, use our online contact form or call (888) 570-2859 today.